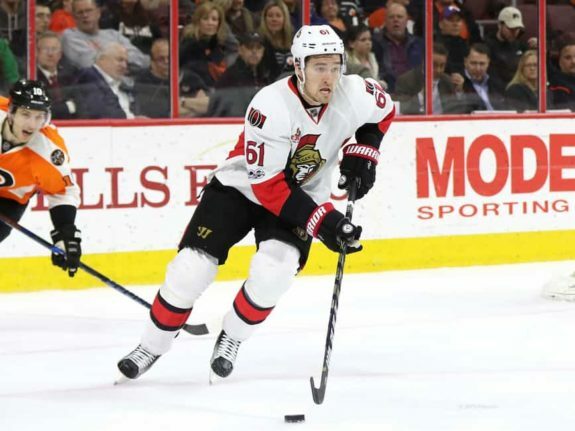 On Sept.18, an article about Ottawa Senators right wing Mark Stone was released by TVA Sports. In the article (written in French), it said Stone “does not want to play in Ottawa anymore” and that he is “frustrated” by the direction of the team. This is coming just before the season and right after the Senators traded their captain, Erik Karlsson. While any exclusive or inside scoop should be taken with a grain of salt, if this is true it is worrisome for the Senators. Stone is currently on a 1-year, $7.35 million contract that he signed before going to an arbitration hearing with the Senators, where he was asking for $9 million. Stone has become an integral part of Ottawa’s offense and a possible team captain. He led the Senators in even-strength points last season (48) and was tied with Karlsson for the team lead in total points (62). 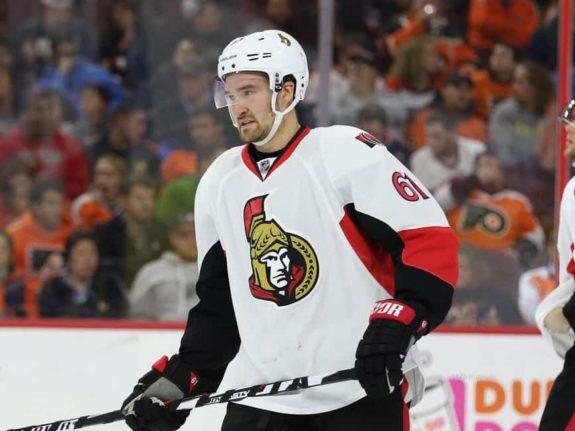 Keeping him in a Senators sweater should be of the utmost importance to Pierre Dorion and the rest of the organization, and letting him walk as an unrestricted free agent next summer is not an option. The Senators drafted Stone in the sixth round of the 2010 NHL Entry Draft, and he was used minutely during his first two seasons with Ottawa. He played in four games during the 2012-13 season, scoring zero points, then played in 19 games the year after, recording eight points. Little did the Senators know the kind of production Stone was going to be able to provide. Stone would record his second consecutive 60-plus point season in a frustrating year where the Senators missed the playoffs. He led all forwards in points (61 points) and finished second on the team behind Karlsson (82 points) in 75 games. Stone averaged 20:06 minutes a night, had 128 takeaways, shot 15.2% on 151 shots and had the highest relative Corsi (6.8%) among Ottawa’s forwards. He finished sixth in voting for the Frank J. Selke Trophy. His third season was a little below the standards he had set for himself through his first two full-time seasons in the NHL. In 71 games Stone had 54 points, good for fourth on the team. He had a strong shooting percentage at 16.4%, and the best relative Corsi on the team with 8.4%. His ice-time fell to 18:34 minutes a game and his takeaways went down (96), but otherwise Stone still had solid numbers. In the playoffs he played in all 19 games for the Senators, scoring eight points and averaging 20:41 minutes a night. But it was last season when he proved his worth to the Senators organization. In Ottawa’s worst season in over 20 years, Stone contributed his third 60-plus point season and tied Karlsson for the team lead in points (62) — despite playing in only 58 games. He led all forwards in average ice-time (20:40 minutes), even strength ice-time (16:18 minutes) and takeaways (59). He had the second highest shooting percentage among those with 100-plus shots (15.2%), a strong 5.2% relative Corsi and led the team in offensive point shares (5.1). A player who can continue to perform despite the negative environment and direction of the team is something the Senators need, and last year showed Stone can be that player. In 307 games, Stone has 249 points, three 60-plus point seasons, four consecutive 50-plus point seasons, four consecutive 20-plus goal seasons, was tied for the team lead in points last season and has led the team in even-strength points twice. Stone is the player Ottawa needs right now and for the team’s long-term future. Locking him up in a six-to-seven year contract and keeping him a Senator is a move that would bring hope to the fans and possibly raise morale in the locker room. They’ll have to wait until next summer to come to terms, but if Stone wants to remain in Ottawa, management needs to make sure that happens.